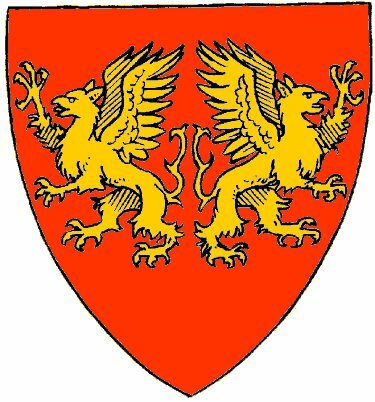 Gules, two griffins segreant addorsed Or. Gules, a base Or, overall a sword inverted counterchanged. Gules, a base or, overall a sword inverted counterchanged and in chief two arrows in saltire or.